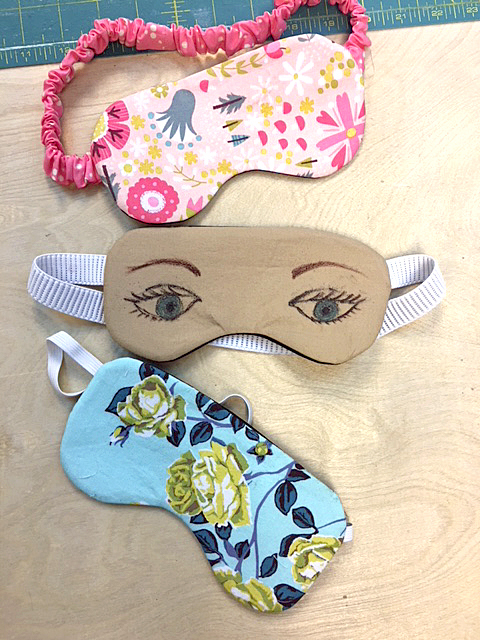 Eye masks are the perfect project for using up some of those precious scrap fabrics you have been saving! They only use a small amount of fabric and look adorable. AND, they work really nice too 🙂 . My newest Youtube video tutorial will give you all the detail on how to make one! To download the pattern piece, click on the blue letters below. Enjoy your sewing! 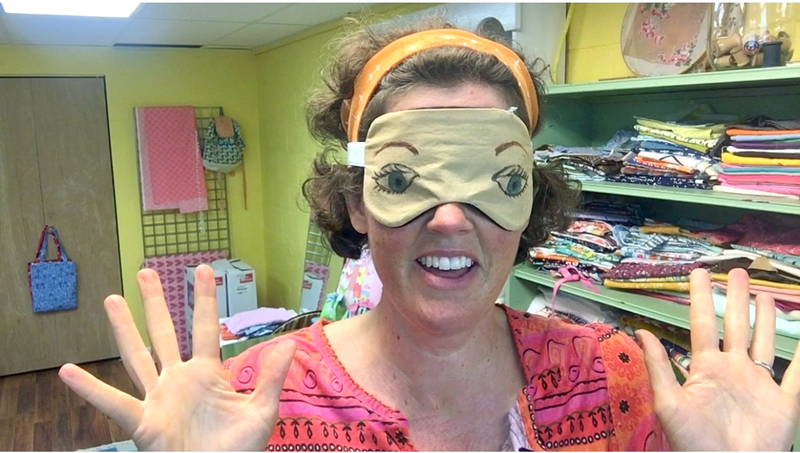 This Funny Eye one was made using fabric markers! Cute, right?